These downloadable applications can improve productivity, ROI and time management for businesses of all sizes. 1. 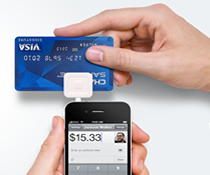 Square (Free, www.squareup.com) – Process credit card payments from anywhere using your iPhone, iPad or iPod Touch with Square’s free card-reader accessory. An intuitive interface and single universal fee (2.75% on each transaction), with no monthly charges or contracts, makes it easy to use for both individual contractors, freelancers and small businesses. Visa, MasterCard, American Express and Discover are all accepted. 2. Evernote (Free, www.evernote.com) – Ever feel like the absent-minded professor? Stay on top of tasks with this service that lets you take virtual memos on-demand. Capable of storing text, photos and voice recordings, you can dictate, snap pictures and automatically synchronize updates across your computer, smartphone or electronic tablet. You can also tag notes by location. 3. Scanner Pro (£6.99, www.readdle.com) – Instantly transforms your iPhone into a portable, multi-page document scanner than can capture electronic copies of invoices, business cards and signed documents. From meeting notes to contracts, its high-quality image processing and automatic edge detection readily handle conversions. You can also produce and skim email-ready PDFs on-demand, set up custom page sizes and password-protect your files. 4. 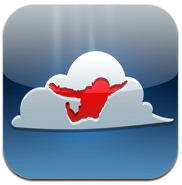 Flight Track Pro (£9.99, www.mobiata.com) – Staying on top of flight delays and gate changes is easy with this handy travel tracker. Import trip data from an airline confirmation email, and it will monitor your itinerary, alerting you to delays, cancellations and alternate boarding plans. The program also provides satellite and weather imagery and maps of airport terminals — in case you need to sprint for a connection. 5. MightyMeeting (Free, http://app.mightymeeting.com) – Upload presentations and product videos to the cloud, then access them nearly anytime, anywhere with this handy demonstration tool. Allowing you to quickly call up clips and slideshows on your smartphone or tablet PC, it makes it easy to showcase sales pitches or market overviews on-demand. Users can also connect mobile devices to a widescreen projector for added impact. 6. 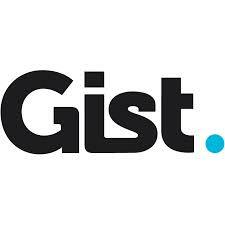 Gist (Free, www.gist.com) – Lets you organize and update contacts in a single location with minimal fuss. Capable of importing email, phone and address data from multiple sources (inbox, social network, smartphone, etc), the program makes it easy to keep up with ever-changing contact information. Also has an option to view colleagues’ real-time Facebook and Twitter feeds without exiting the program, which is nice. 7. LinkedIn (Free, www.linkedin.com) – Makes it possible to access the leading social network for professional users while on the go. Search for new workers, mentors or strategic partners; mingle with peers; and share business tips, news and insight with like-minded people. 8. Print n Share (£8.99, www.mobile.eurosmartz.com) – Dream of printing right from your smartphone or tablet PC? Wish granted. Wielding this nifty app, you can send documents straight to a WiFi printer, or one connected to a Mac or PC. Requests may also be issued remotely over 3G wireless networks, so you can pick up copies of contracts or insertion orders the next time you’re in the office. 9. Jump Desktop (£19.99, www.jumpdesktop.com) – Offers the option to control your desktop remotely, regardless of where business takes you. Armed with an Internet connection, you can manipulate files or folders via touchscreen, and actively browse on your home or work computer. Compatible with Mac or PC systems, it lets you be productive without having to lug your laptop. 10. OmniFocus (£19.99-£39.99, www.omnigroup.com) – More expensive than most apps, but cheaper than an executive assistant, this full suite of utilities for task management makes plotting a daily agenda much simpler. Capable of organizing tasks by groups, contexts, tools, locations and resources, it helps you keep tabs on ongoing engagements and prioritize to-do lists. Also supports synchronizing between multiple devices.